This was done in conjunction with Earth Hour 2014. 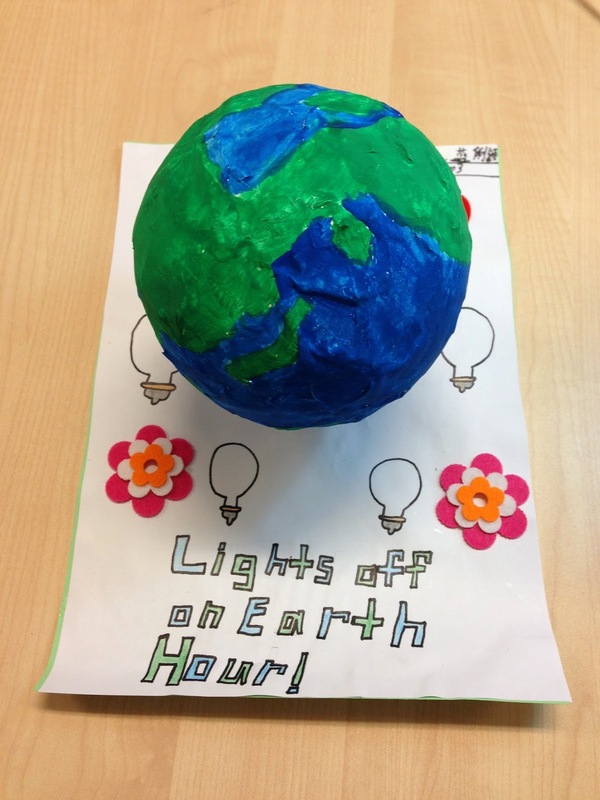 Students from P4 Group 3 were given a month's time to come up with a poster to promote Earth Hour. Ashley Lam Li Ying from P4B came up with this awesome 3D poster using balloon and paper. The globe is actually made of balloon and paper dipped in glue. The base of the "globe" is actually a "screw cap" of a lightbulb, and the "globe" is actually a glass bulb. Ashley is actually using this poster to ask people to save energy and cut down the use of electricity.